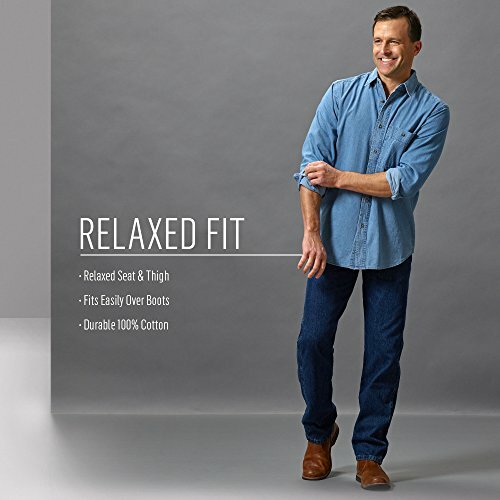 Made for the man who lives the outdoors, Rugged Wear Wrangler jeans feature a convenient button waist with zipper fly. Jeans sit comfortably at waist. Authentic five-pocket construction. Easy entry, extra deep front pockets. "W" stitching on back pockets. Wrangler waistband patch on back. Imported.